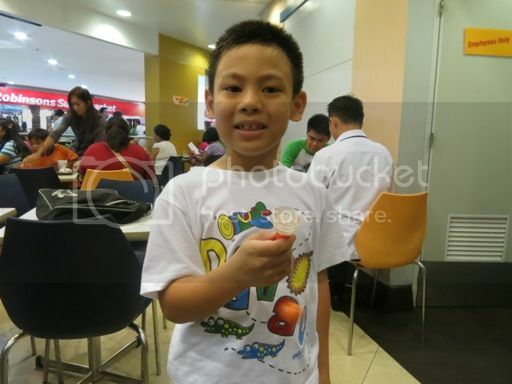 Because the little boy wanted a toy from Jollibee, we went there last week to have our afternoon snacks. It’s been a while since we’ve last eaten at Jollibee, and I wasn’t sure what to order for myself. We ended up having Jollibee Spaghetti, Crisscut Fries, Creamy Macaroni Soup, Peach Mango Pie and 1-pc Burger Steak. 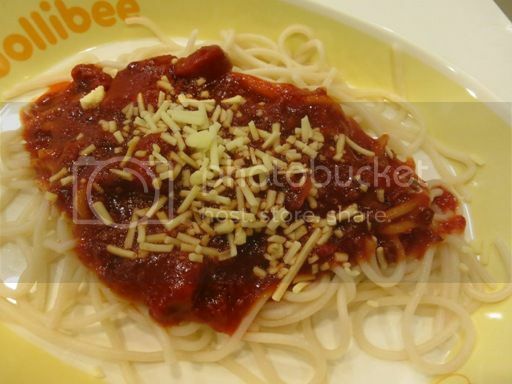 Jollibee Spaghetti is sweet-style spaghetti with ground beef, ham and sausages, topped with cheese. 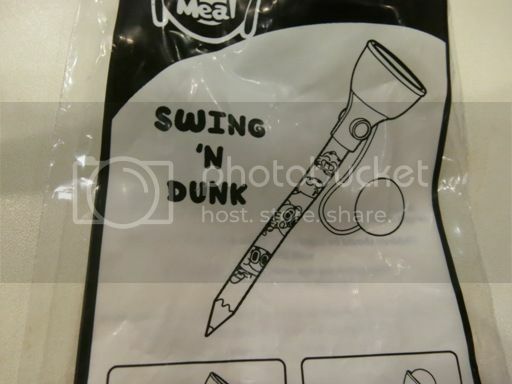 The little boy wasn’t able to finish his plate because he was more interested in the Swing ‘N Dunk toy that he got than in his Jollibee Spaghetti. I wasn’t really aware that “zesty” means “spicy,” so I bought this Zesty Cheese Crisscut Fries for the little boy. He stopped eating these after munching on a few pieces simply because they were too hot for him. We took home what’s left of his Crisscut Fries and gave them to his Dad who enjoyed them, by the way. 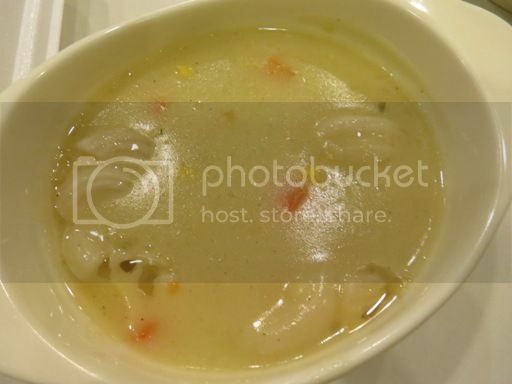 This Creamy Macaroni Soup was indeed creamy. It was also tasty, and it was served hot. I liked it! This Peach Mango Pie was mine, too. I loved its crisp crust and the peach and mango fillings inside. This Burger Steak is what I’ve always been ordering for myself from Jollibee when I was still a student and when I already had a job. 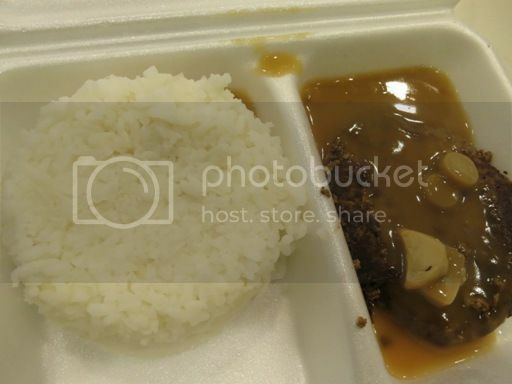 This 100% pure beef patty with mushroom gravy is simply flavorful. This time, though, I ordered it for our helper. 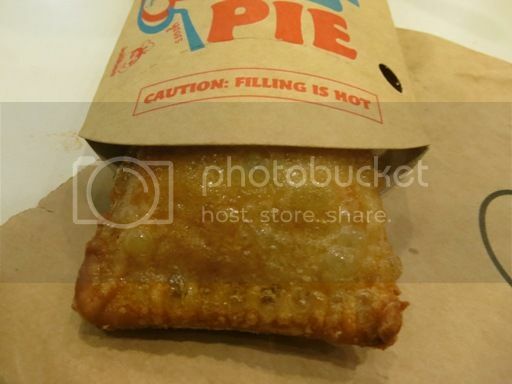 This entry was posted in Jollibee, Snacks. Bookmark the permalink. we usually have jollibee food delivered at least once a week… my youngest loves their chicken. lol. 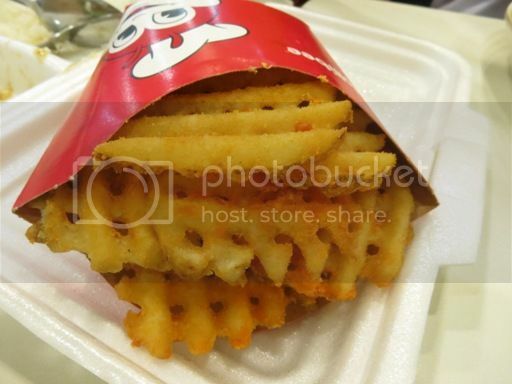 We have one Jollibee in HK, and it is located in Central, HK Island. It’s quite far from where my family lives (Kowloon), so we seldom go there. But my teenagers love the Jollibee food, especially the (delicious) Chicken Joy. They wonder why the inside is juicy and they like, no, love the wonderful gravy. Its use is not limited as dippings but also sauce for the rice. My kids love Crisscut fries and Peach Mango pie for snacks. I go for the HOT and crunchy french fries.